The weather may have tried to get in the way of the first round of the Dave Barkshire 2-Man Enduro for 2018, but rain didn't stop play! Due to the waterlogged course at Oaklands Farm, the venue was changed to Foxborough Quarry, although conditions there threw up a muddy challenge too! Despite that, a great day of action followed with the Roper trio a prominent feature, and Rick emerging triumphant. If you've got the Enduro bug, then be sure to visit our great Hit The Dirt practice track, but be aware that weather conditions can affect the opening of that facility too. Watch this space for notifications as to when we are open. 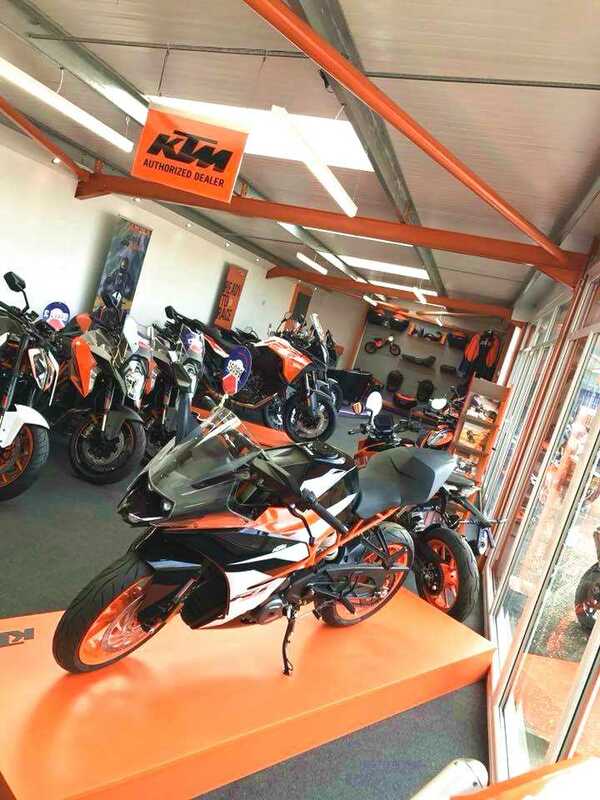 Our Rackheath Motorcycle Showroom underwent a major revamp with impressive results, and we were pleased to celebrate its completion with many of you back in November. You may have seen the event promoted on Facebook by Dave’s alter egos ‘Disco Dave’ and ‘Ringmaster Dave’. Be sure to keep abreast of our Facebook page for all our latest news and bike offers. Thank you to all of you who came along and helped to make our Open Night Spectacular a great success. We hope to see much more of you in 2018! Over the year, a large number of successful riders passed through our purpose-built, Salhouse based Motorcycle Training facility, with passes achieved at all levels. The year ended with mod 2 passes from Fay and Martin, whilst 2018 has started with passes by Amanda, Tom and Joe. 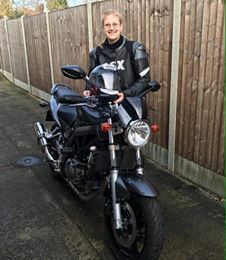 We offer training courses suitable for all abilities, so make this the year you achieve your motorcycling goals. At the Hit The Dirt practice track in Swaffham, we were pleased to introduce a new refreshment area for 2017, serving hot and cold food and drinks. This has proved very popular, keeping riders fuelled up to enjoy our great forest tracks. If you’ve not tried our fantastic Enduro track, be sure to put it on your to-do list for 2018. Fans of Enduro may also have enjoyed the action of the Dave Barkshire 2-Man Enduro championship, which produced lots of excitement during its four rounds organised by Sudbury, Diss and Woodbridge Motorcycle Clubs. We’re looking forward to lots more fun and action in 2018, so be sure to keep up with all our latest news and offers to be involved!